Ethics above all else ... Service to others before self ... Quality in all that we do. The City continually offers opportunities for program participation through a variety of venues including but not limited to dance, art, sports, martial arts, athletic leagues, swimming, theater, extreme sports and camps. Inclusion programs are provided for individuals with "special abilities" including summer camps for pre-school age, elementary age, middle school age and high school age participants. 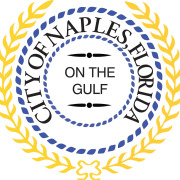 Would you recommend City of Naples Parks and Recreation?